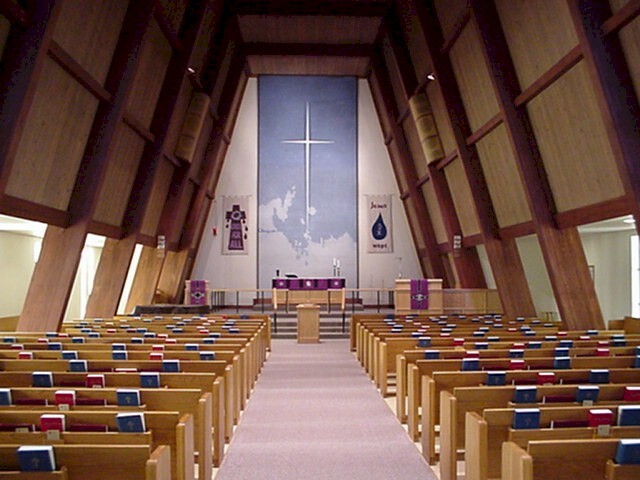 The instrument at Anchorage Lutheran Church has been influenced primarily by the liturgical organs built during the 17th century that can be found in North Germany and Holland to this day. These instruments represent a high point in the development of organs that were built primarily to accompany and supplement Christian worship. Like these early instruments, the pipes in this instrument have been placed with in a freestanding case that blends and focuses their sound much like a violin case affects the way its strings work. The pipes visible at the front of the case represent only 3 out of the 23 ranks or sets of pipes. Each rank on a keyboard is usually comprised of 56 pipes, pedal ranks of 32 pipes; one pipe for each note. These front facade pipes are a part of the plenum or chorus of open Principal pipes that extend to small pipes of the Mixture and Scharff stops inside the case. The placement of these pipes behind the visible ranks helps refine their sound before it reaches the listener. The materials the pipes are made of also affects the way they work. A high lead content in the metal pipes makes possible the singing, fundamental sound of the open Principal pipes and the clear, fluid sound of the flute pipes. This hammered metal alloy and many of the dimensions of the pipes are inspired by many European instruments. 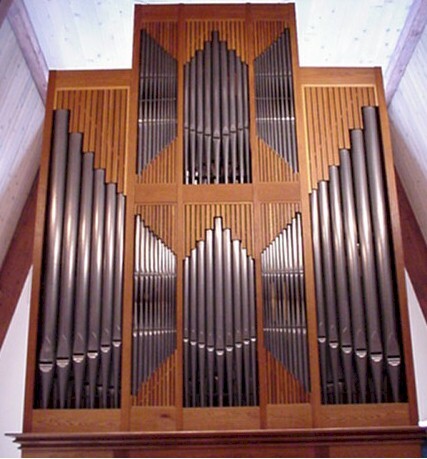 The only other material used in the pipes of this instrument is the wood of the 12 subbass pipes that can be seen at the rear of the organ. Three stops or ranks are made up of reed pipes and unlike the flute pipes which work on the same principle as a whistle, work much like a clarinet does, with a thin brass reed beating against an opening that leads to a resonator. These stops are also designed to sound the way their historic counterparts work. The contract to build the organ with R. Byard Fritts and Company, Pipe organ Architect and Builder, was signed 25 November 1975. 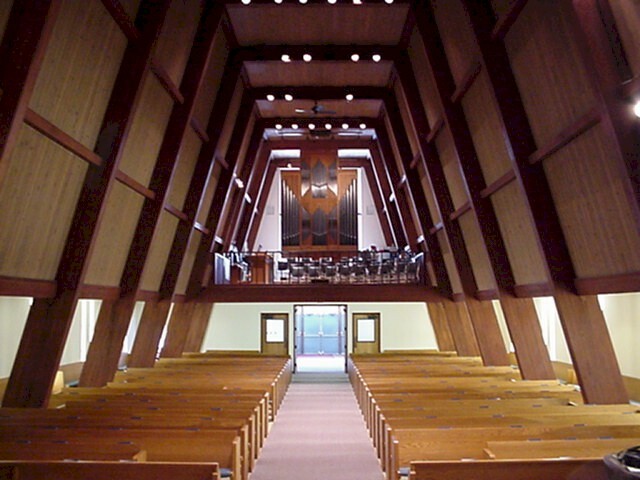 Dedication of the completed organ took place on 2 October 1977. 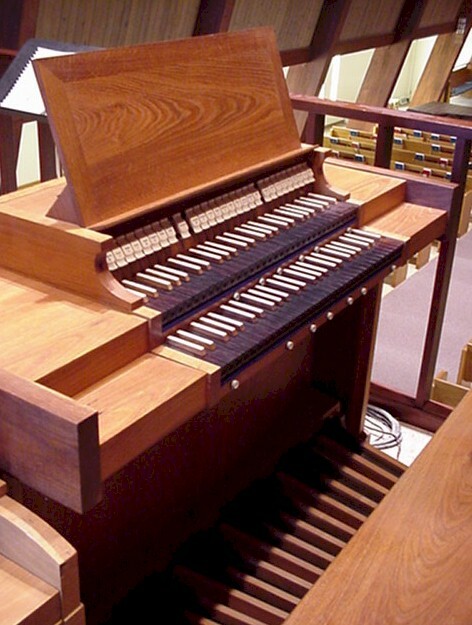 The organ was donated to the church and community by the James Webster family.